In the last one year, the stock market has witnessed a huge downward swing where the benchmark index (NIFTY 50) has provided a negative return of almost 4.2 percent. The carnage in the Midcap index (-21.70 percent) and Smallcap index (-28.70 percent) returns is now too heavy for the common investors who joined the zeal of market in the financial year 2017-18 and continued to pour funds in the market. The common investors are generally risk averse but many times they get carried away with the bullish fever in the market and ultimately repent it. Risk aversion means investors naturally try to avoid risky investments and when they are put into a risky situation they demand more return. As such equity investment is a high-risk instrument but the risk can be lowered if an investor invests in low volatility stocks. A low volatility stock means fewer fluctuations in its daily charts and normally a lower beta which is close to one or less. So, the pertinent question is whether investing in low volatility stocks can save investors from these swings and give a better sleep in the night with handsome equity exposure in their portfolio. The portfolio at the same time should provide a better risk-adjusted return that outperforms the index return. BSE has introduced a low volatility stock index on December 3, 2015, which includes 30 stocks having low volatility. 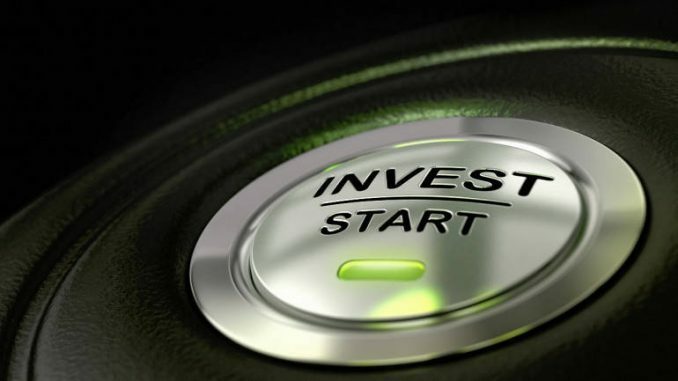 The idea is to understand how these stocks have performed with respect to a market index and whether it could generate consistent returns for the investors. This article tries to identify the stocks’ performance included in BSE low volatility index and finds how they have performed over and above the benchmark yield of government bonds which is considered to be the risk-free rate. A stock’s performance is measured through an excess return to beta ratio popularly known as the Treynor ratio. All the stocks’ three years average monthly returns are taken into consideration using log-normal return. The risk-free rate is considered to be the three years’ benchmark yield of 10-year government bonds which comes to 0.6275 percent on a monthly basis. The excess return to beta is calculated as the ratio of stock’s excess return over the risk-free rate and the stock’s beta. A stock is said to have outperformed if its excess return to beta ratio is more than the index. The below analysis was made on a data set of three years’ monthly closing of the selected stocks and index for a period of three years starting from January 2016 to December 2018. 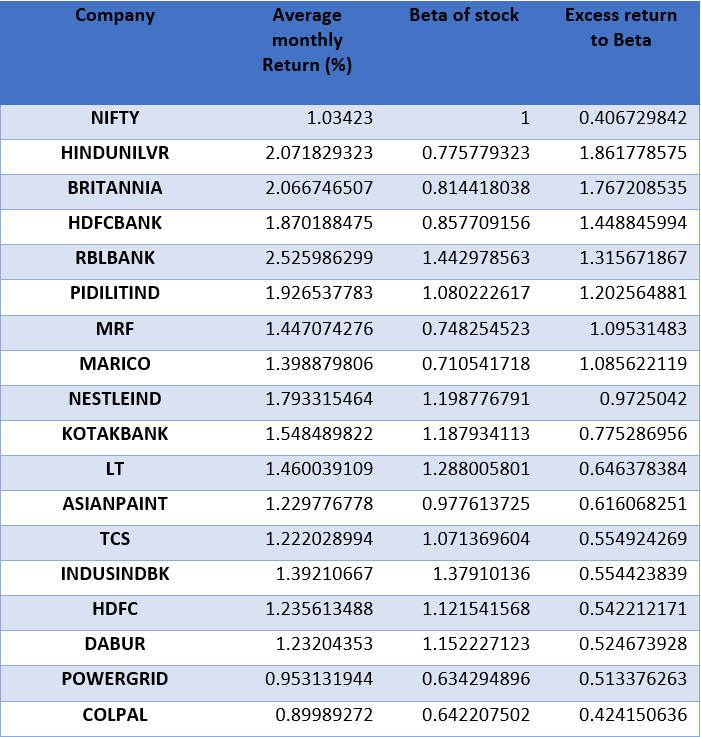 Of all stocks available in the low volatility index, 17 generated an excess return to beta higher than that of Nifty, thereby outperforming its return. If anyone invests in Nifty Bees or Index Fund it is considered to be a passive investment strategy. But with low volatility stocks, one can work out an active investment strategy which is less risky and can generate better risk-adjusted return compared to the market return (Nifty). Though one may argue that past return is not an ideal indication of future returns, it is evident that the portfolio of these 17 low volatility stocks has consistently provided a better risk-adjusted return and therefore, may be a winning portfolio for the risk-averse investors.